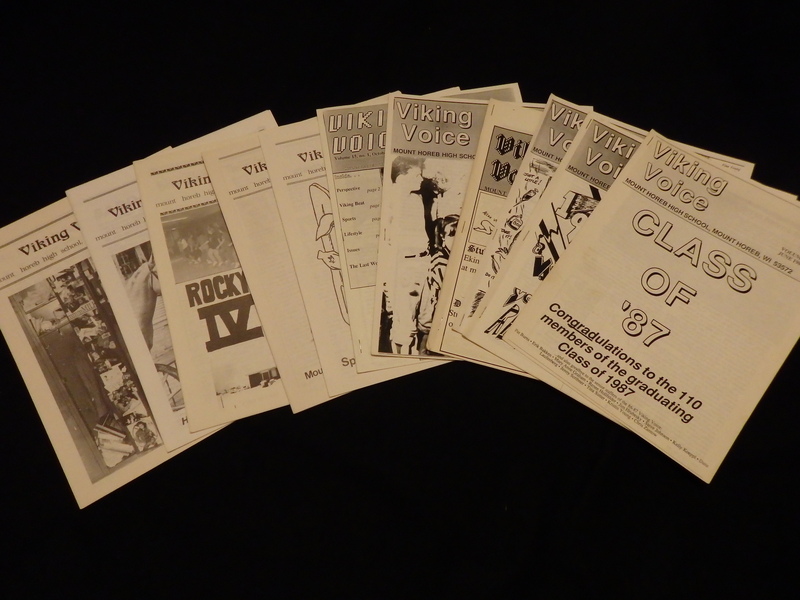 Here’s another article written for my high school newspaper, the Viking Voice. This was published during my senior year. I was given the fun assignment of doing the movie review for that month’s issue! Something does turn up, as a young Mexican girl, Carmen (played by Patrice Martinez) and her brother Rodrigo send a telegram from their village, Santa Poco, to the Amigos. The small village is currently being terrorized by a tyrant, El Guapo (Alphonso Arau), and his gang of bandits. Carmen believes that the Amigos feats from films are real, and she has hope they will actually save Santa Poco from El Guapo. Unfortunately, she doesn’t have enough money to send a complete telegram, so most of the important facts were left out. The Amigos receive the telegram and travel to a small town near Santa Poco, believing they are going to put on a show for El Guapo and get paid 100,000 pesos. A case of mistaken identity on two parts causes some big laughs in a local tavern, and the Amigos wind up performing a song for the dumbfounded patrons. They finally meet Carmen, and she takes them to Santa Poco. Three of El Guapo’s men ride in soon after to pillage the village and are driven out by the Amigos, who simply take the whole ordeal as part of the act. But the henchmen ride back to El Guapo and warn him of the good guy’s presence. When the bandits again invade the village, Lucky Day is shot and that’s when he and his pals discover the so called “game” is real. The Three Amigos is a very funny movie in many different ways. How the trio battles El Guapo and bad luck causes many of the film’s best jokes, while the general acting keeps the action and the story moving quickly. Martin, Chase and Short appear to have a fun time, and the chemistry among them works well. Basically, though, the one aspect that makes the movie hilarious is its unrealistic pratfalls, via singing horses and talking turtles. It is very much a film for anyone who just wants to laugh without any complications.